Ducted air conditioning Perth is considered as the ultimate entire home cooling solution all year long. This system suits most homes in Perth even those with numerous rooms in multi-story dwellings. This is one of the popular systems of refrigerated air conditioning that Perth homeowners have purchased for their houses. Flexibility comes with this system as it can also provide heating, eliminating the need to have a separate heating system installed. With 40 years of Experience in the industry, the Mouritz team ensures the best units at the most affordable prices. When you have invested in a ducted reverse cycle AC system for your home, you need to ensure that it continues to operate at peak efficiency. One of the very best ways to accomplish this is with servicing. Unfortunately, many property owners overlook the importance of a ducted reverse cycle air conditioning service, but the Mouritz team is here to explain why you may need to schedule an appointment. To Find the nearest Mouritz Branches in Perth, please see our Perth Locations. The ultimate form of air conditioning, a ducted refrigerated system gives you a choice of comfort level all year round. Suitable for most homes or dwellings. They are perfect for shopping centres and large areas. They usually involve a central location where is the air is filtered and sent into a system of ducts for each room. If you are still unsure about the benefits of a ducted reverse cycle air conditioning service, Perth based Mouritz are here to help. Our team would be happy to discuss any aspect of ducted reverse cycle maintenance, servicing or repairs and schedule your appointment. A ducted reverse cycle system works using a compressor, coils, refrigerants, and a system of ducts. 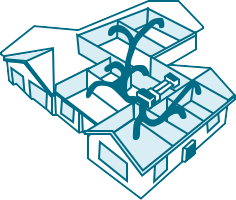 A pipe in the system containing refrigerant cools the air, which is then pumped into the home through ducts installed n the roof cavity. This system does not display much of the equipment as the compressor is placed outside and the ducts are on the roof, making it an attractive option for those who wish for their air conditioning system to blend in the house and not stand out. A ducted system is one of the refrigerated air conditioning systems which allows for zoning. With zoning, it is possible for you to switch off the air con in parts of your home that is not in use, minimising environmental impact as well as increasing savings on electricity. This system is thermostat-controlled offering a range in temperature from 18 degrees to 30 degrees. For colder months, we also provide ducted gas heating services for your home. 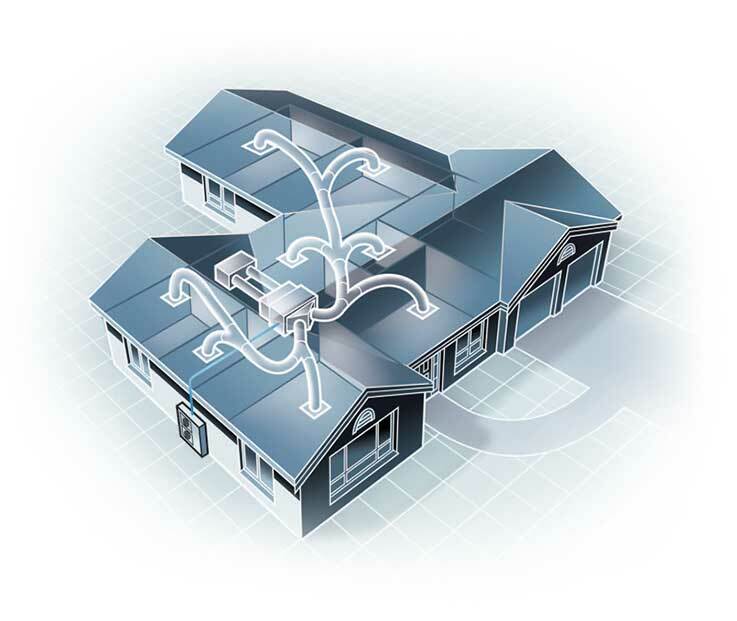 Efficiency and flexibility in cooling or heating through zoning, giving the option to cool the entire house or just selected areas or rooms. 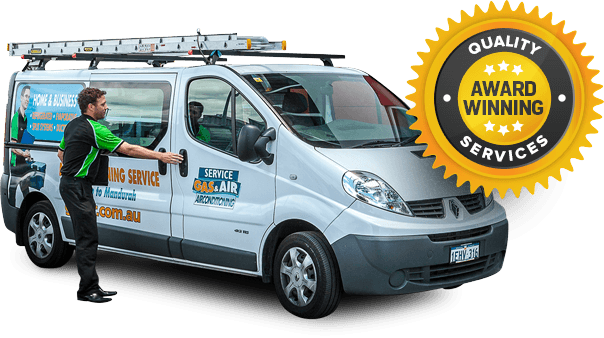 Best Ducted Refrigerated Air Conditioning in Perth, Western Australia. Get the Installation done by our Experienced Professionals of the Ducted Refrigerated Air Con Service Department. Call 1300 369 690 to Enquire Now! Awesome experience booking with Gas & Air. The process was easy and the quote was very reasonable. Had two split systems installed. No hidden costs, all stated upfront. Highly recommend these guys. The legends at Gas and Air Wangara sorted us out with a pretty sweet deal. Also have to thank Matt personally for his attention to detail when making sure we got the right gas heater for our home. Thanks mate!